Agrona, in collaboration with Patron Agri Systems, has developed a bioreactor that mimics the process of a natural ecosystem. 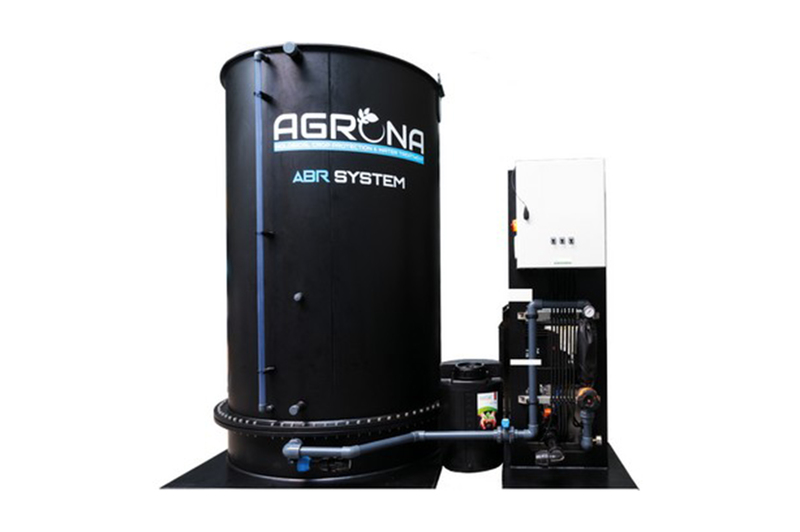 The Agrona bioreactor consists of a tank filled with water and membranes creating a large surface for adhesion to healthy bacteria. A mounted compressor drives the aeration process of the water. The addition of AG-Stim, an organic bio-stimulator containing nutrients for micro-organisms, stimulates the bacterial multiplication process. The bioreactor is not a panacea, but it increases the oxygen and population of healthy bacteria making the plant more resilient to diseases and able to increase production. A wonderful example of innovation, based on ecological principles.